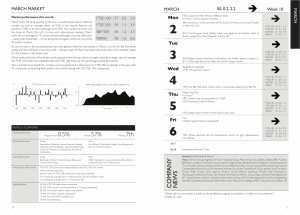 The main section is built around the format of a 52-week diary, containing articles, facts, figures and fascinating trivia unique to the Almanac. 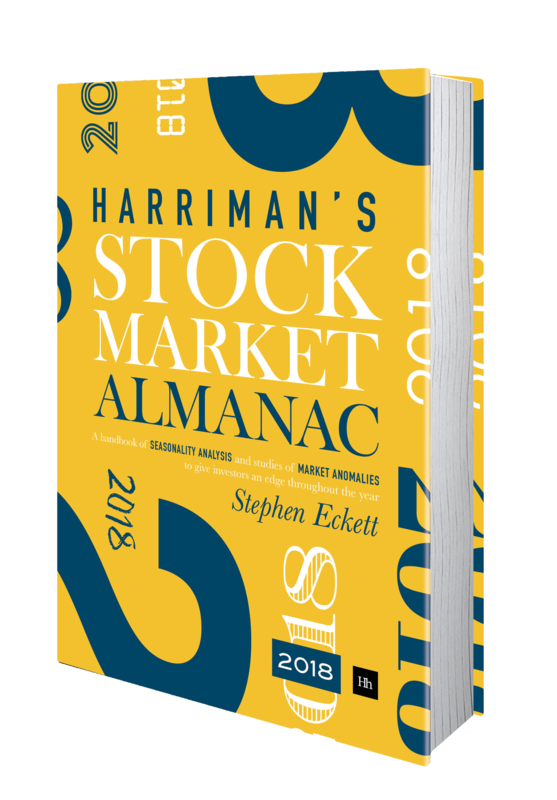 This is an extremely valuable and massively informative companion to the financial year making the Almanac the one essential book for the serious trader or investor. Each page of this section includes key financial dates including: important economic releases, derivative contract expiries, exchange holidays, and company results expected that week. 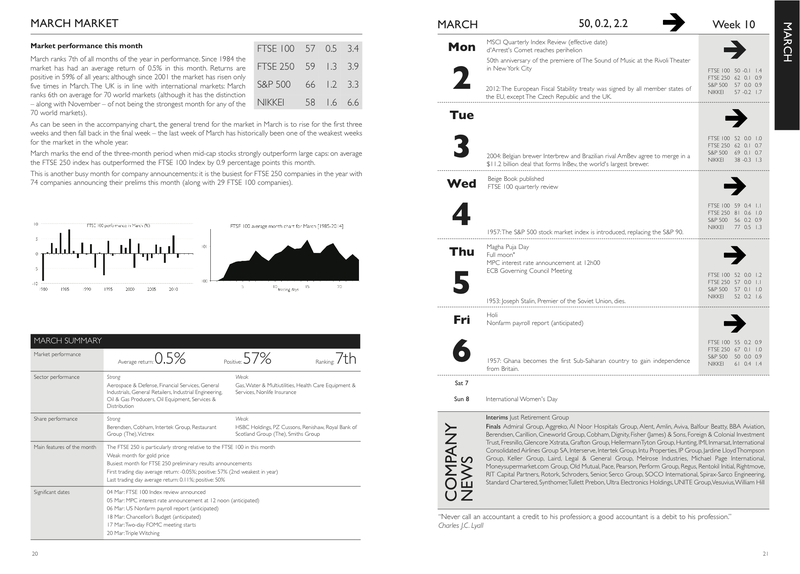 The pages also feature the results of a unique study including the historic performance of the market for each day and week of the year – the Sinclair Numbers. Each page of the diary is accompanied by an original, informative and entertaining article. These cover studies of trends and anomalies, seasonality analysis, momentum effects, sector performance, arbitrage opportunities, FTSE index reviews, as well as the results of some more unusual and eye-opening research. The 2015 edition of the Almanac features over 70 studies of seasonality trends and market anomalies with strategies outlined to exploit them. A collection of articles featuring statistical analysis of UK stock market data and more wide ranging topics than the Diary. Exclusive to the Almanac, sector, weekly and daily market performance analysis data is included. The Reference section includes background information about UK and international stock indices. Topics covered include basic facts about the market, trade codes, a timetable of the trading day and, and a look at the original constituents of the FT 30 of 1935 and the FTSE 100 of 1984.